Scientists at The Scripps Research Institute and the California Institute for Biomedical Research (CALIBR) have found that some types of small-molecule drugs, including marketed anticancer drugs, may work in part by binding to disease-related noncoding RNAs. Their discovery could open up new avenues of research for developing small-molecule drugs against what are otherwise considered undruggable diseases, including amyotrophic lateral sclerosis (ALS), cystic fibrosis, muscular dystrophy, and some types of cancer. Using a novel screening technology to profile the binding of small-molecule drugs to thousands of RNA motifs, Scripps institute chemistry professor Matthew D. Disney, Ph.D., and colleagues found that many drug classes, including kinase and topoisomerase inhibitors, bind tightly to specific RNAs, including microRNAs (miRNAs) implicated in cancer. RNA plays key roles in cellular processes, and RNA dysregulation can contribute to disease, the authors explain. The Encyclopedia of DNA Elements (ENCODE) project estimates that while 1% to 2% of the genome encodes proteins, about 80% of it is transcribed into RNA. And while we don’t know how much of this noncoding RNA is functional, it is clear that it plays a myriad of important cellular roles. Most attempts to develop RNA-targeting therapeutics have focused on the use of oligonucleotides, but while such approaches are promising, there are challenges, including significant side effects, the authors suggest. Small molecules could be a better option for targeting RNAs, but to date, the only type of small-molecule drugs targeted directly to RNAs are antibacterials. One way of evaluating the potential druggability of RNA is to find out whether known drugs bind RNA and impact on key cellular pathways. “Perhaps noncoding human RNAs are targeted with approved drugs in their clinical settings, but these interactions have gone unidentified,” the team writes. To investigate this further, they developed a small-molecule microarray-based approach, called AbsorbArray, which allowed them to rapidly test small-molecule compounds, including FDA-approved and investigational drugs, for binding to thousands of different RNA motifs, and against libraries of premessenger RNA. “Basically, we figured out a way in which we could test millions of combinations of small-molecule medicines and RNA folds that bind to each other,” Disney says. The results highlighted a series of compounds and compound classes as RNA binders, including topoisomerase inhibitors, kinase inhibitors, and splicing modulators. “Importantly, several unique small molecules hits derived from the RNA-focused library were discovered using this platform,” they write. Interestingly, the kinase inhibitors and topoisomerase inhibitor bound to oncogenic miR-21—previous studies have shown that miR-21 promotes an invasive cancer phenotype—and its precursor, and studies with the most potent of the identified topoisomerase inhibitors, designated “3,” indicated an impact on the biogenesis of pre-miR-21 production. “Thus, this class of compounds, known to affect cellular processes by targeting DNA, might also elicit anti-cancer effects by affecting the biogenesis of miR-21,” they write. 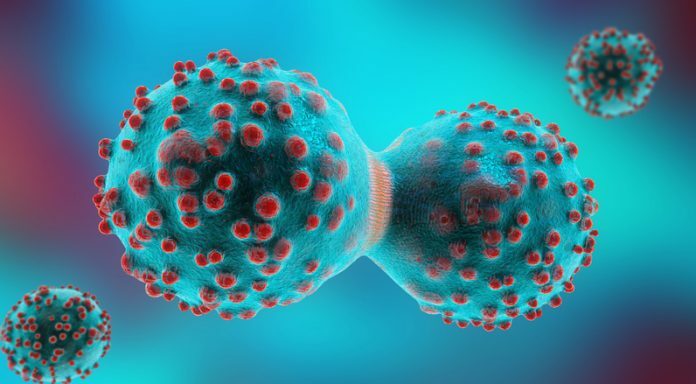 Encouragingly, tests with topoisomerase inhibitor 3 also demonstrated an ability to inhibit miR-21 and reduce the invasiveness of a triple-negative breast cancer cell line, dose dependently. “’In this study, it was found that 3 inhibited levels of mature miR-21, concomitantly increased levels of pre-miR-21, and reversed the invasive phenotype caused by elevated expression of miR-21 in triple-negative breast cancer cells.” The effects of the small molecule could be blocked by overexpressing pre-miR21, “giving further support to 3’s mechanism of action,” they write. “What is particularly interesting to me as a chemist is how existing compounds that have been tested in the clinic and optimized on one protein target may have additional novel activities in targeting RNA as well,” adds co-author Arnab K. Chatterjee, Ph.D., at the Scripps Research CALIBR division, who worked with Dr. Disney to carry out screening of the small-molecule drug collections against a premessenger RNA library.